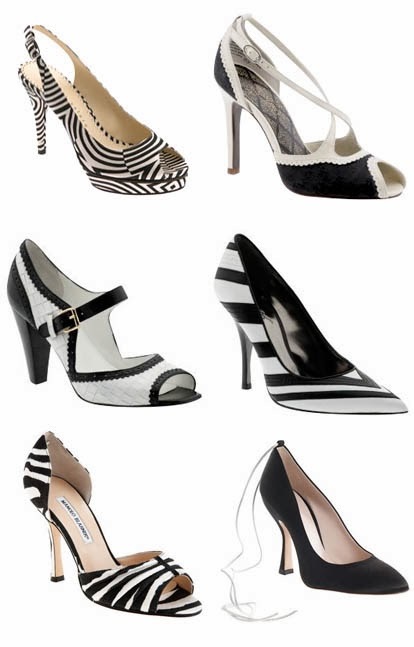 The striking contrast of a black and white is a stunning choice when planned correctly. 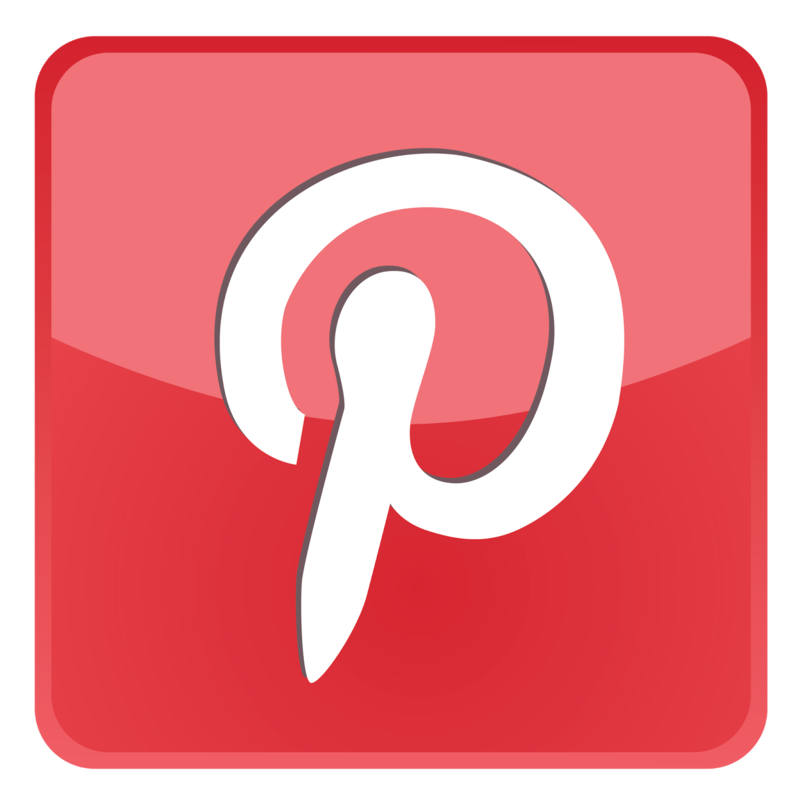 You should be certain to carry your wedding theme through all of the aspects of your wedding with classy touches that make an impression without going overboard. 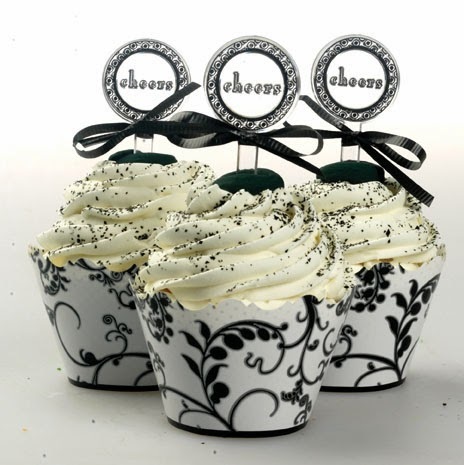 Try some of these ideas for a sophisticated and elegant black and white wedding theme. The first and most obvious contrast is the bride in her snow-white gown alongside her groom in his black tuxedo. However, for a twist, you could consider having the groom wear a white tuxedo and then dress both the bridesmaids and groomsmen in black. The bride and groom will really stand out! 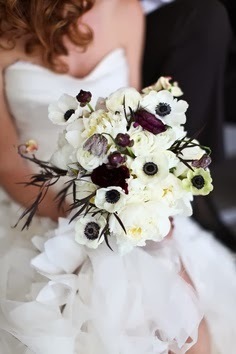 If you opt for the traditional, considering adding black accents to both the bride and groom's attire with a black tie for the groom and white flowers with black ribbon for the bride. White flowers for the bridesmaids and a white flower on the groom's lapel will complete the theme in the bridal party. Make your wedding theme really special by using the colours in surprising ways. 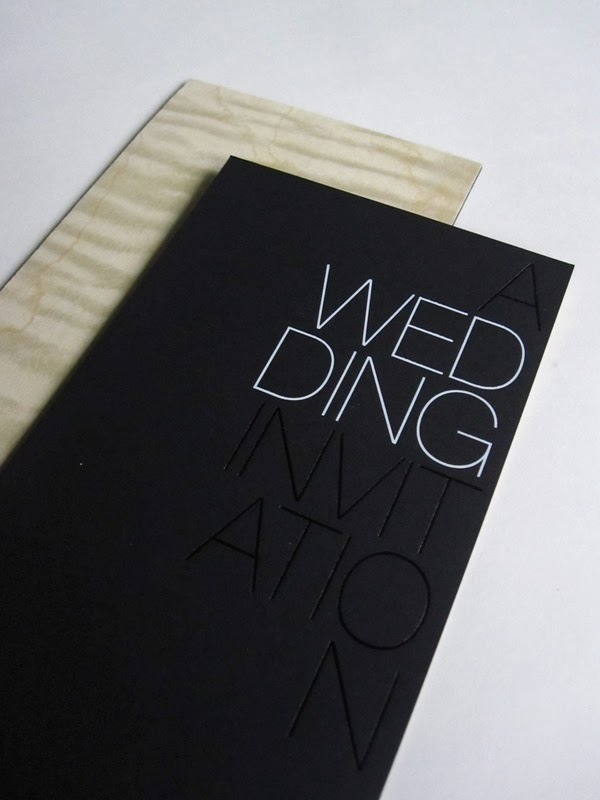 Instead of a white paper invitation, try black paper with white writing. 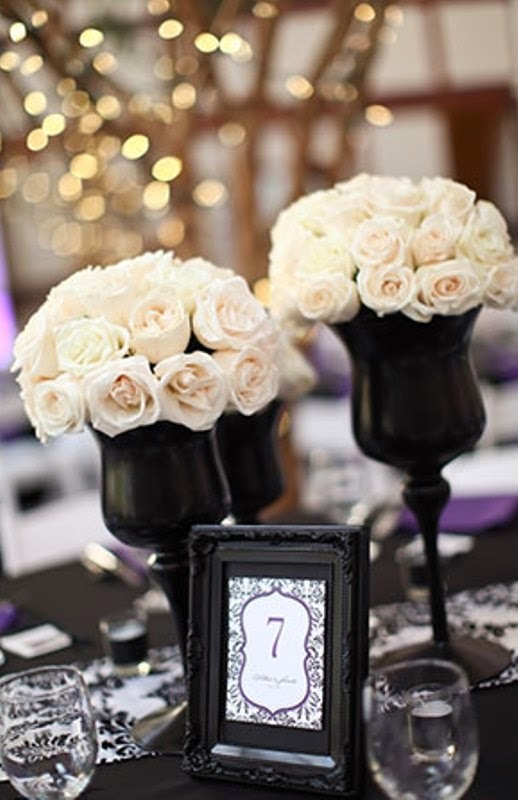 Add the odd black rose among white ones in your flowers for an extra pop of black that is sure to stand out. 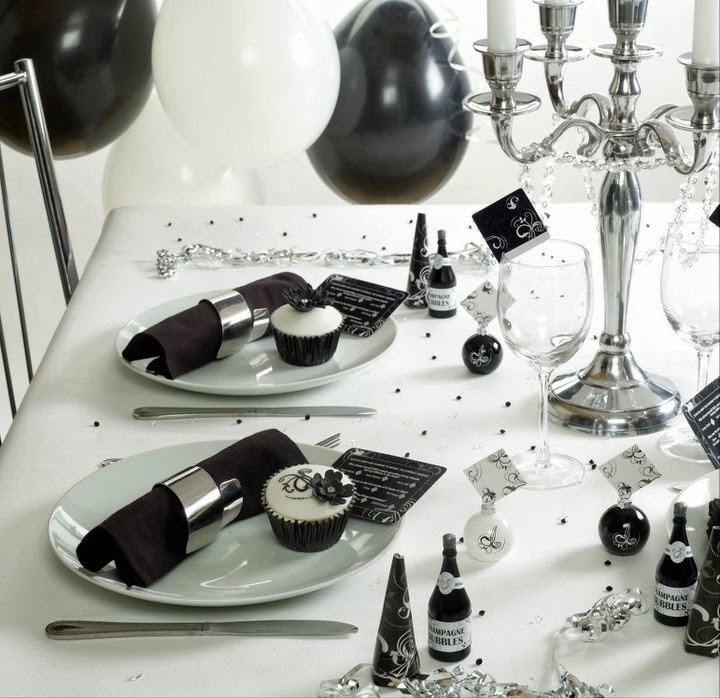 Set the tables with black tablecloths to make white napkins and tableware stand out. The theme offers almost endless opportunity for small touches that really add flair. For an extra touch that will make your guests smile, opt for elegant black shoes hidden under your wedding gown, to be seen only in flashes when you dance! Make sure that your wedding favours stick to your selected theme. A small box of dark and white chocolates in a black box with a white paper lining is a perfect choice for wedding favours. 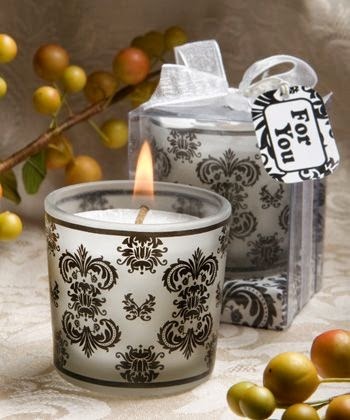 A white candle in a black candle holder is another possible favour for a black and white wedding theme. 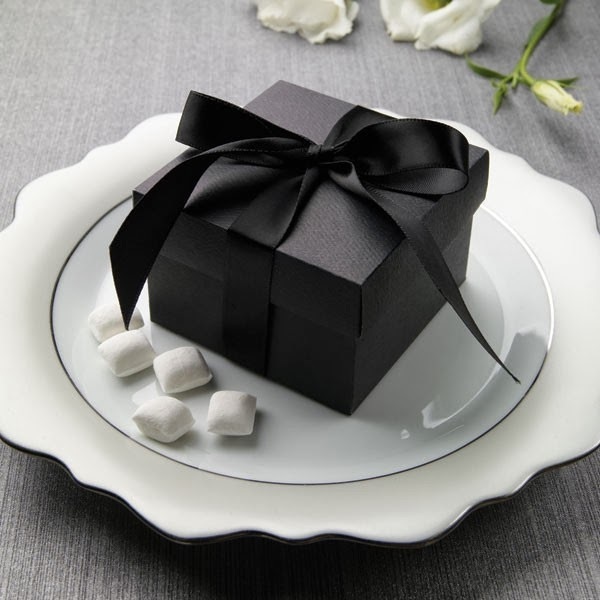 Just about any wedding favours you might have in mind can be made to fit your theme by giving them in black boxes with white ribbon, or vice versa. - Don't forget the cake! 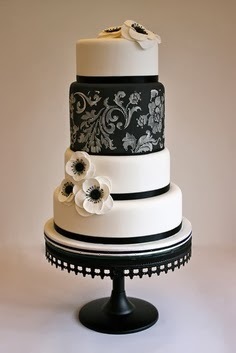 As the centerpiece of your black and white wedding theme, you should ensure that your cake stands out in the reception room. 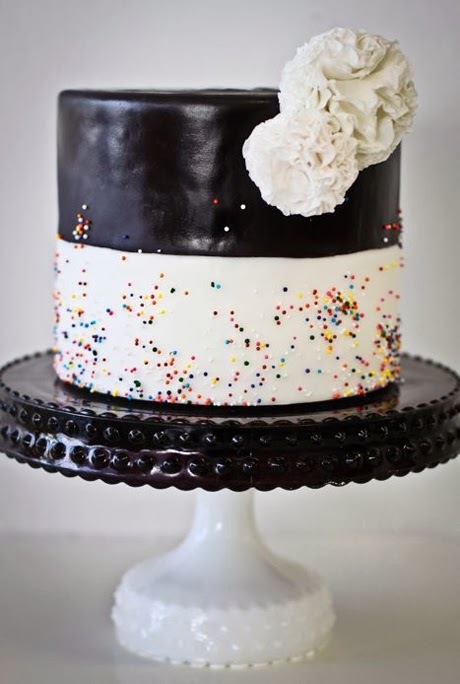 Start with a chocolate cake covered in white frosting, and then be creative with black touches to decorate. 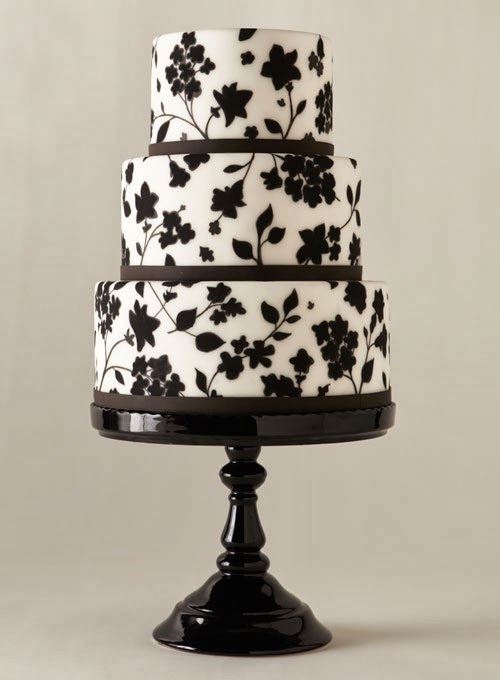 Checkerboard fondant, black flowers, or beautiful black patterns on white frosting will all make for a gorgeous cake that is a perfect fit for your theme. With delicate touches and surprising details presented in classic black and white, your wedding will be an elegant affair that is the epitome of sophistication. Be creative with your use of the black and white wedding theme and find new ways to combine these basic colours for a beautiful event people will talk about for years!